Manufacturer of a wide range of products which include inline homogenizer. We are the leading Manufacturer and Exporter of Inline Homogenizer and our product is made of good quality. 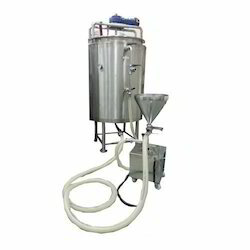 Inline Homogenizer is having sturdy construction and heavy in weight and can be easily moved from one place to another for work. These mills take low repairs cost and very easy to install.